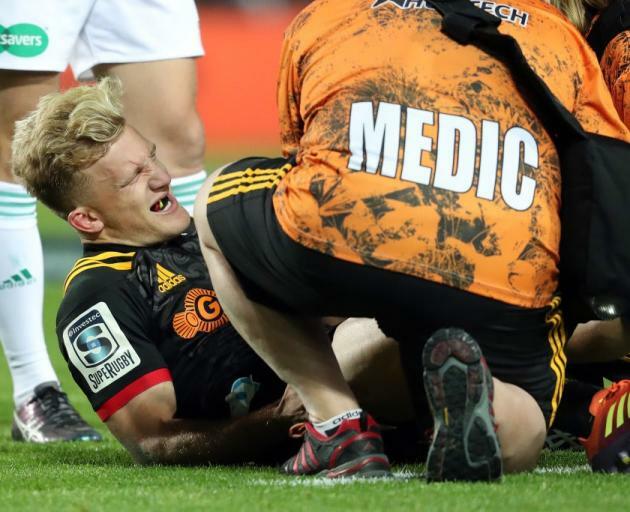 All Blacks star Damien McKenzie will miss the Rugby World Cup in Japan later this year after picking up a serious injury. McKenzie's injury may open the way for David Havili or his Crusaders teammate Will Jordan who have both been in good form this season. "The rules are the rules and we're all playing by them". Nonu scored twice in Saturday's narrow loss to the Chiefs in Hamilton, steamrolling a number of rivals in an inspired second-half showing. "He's just being Ma'a, isn't he?" "You get the subtle touches and you get the brutality, as LB [Chiefs All Black midfielder Anton Lienert-Brown] found out in the weekend". Hansen said no one knew "what [Nonu] was going to come back like". I just like the fact that he's been courageous enough to come back and he'll be considered like everybody else.